On this page you will find all the basic chords that you should need to play almost every song. They have been listed in alphabetical order so that they are easier to follow for kids of any age. 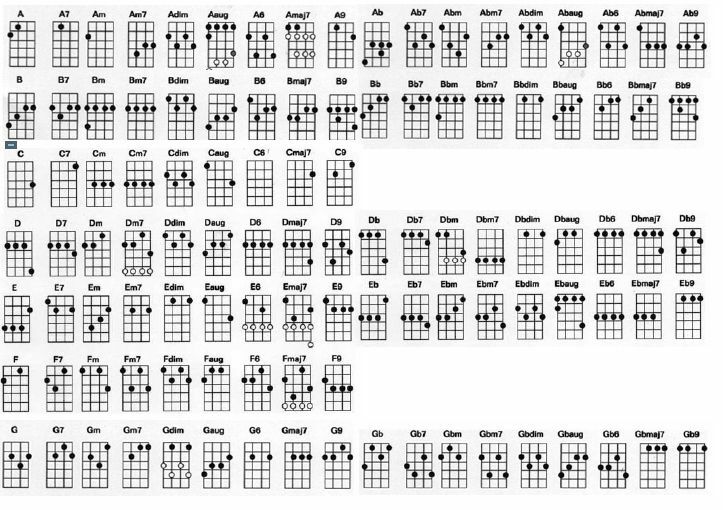 You are more than welcome to download, adapt the chord chart and share with others. Please let others know where you got the chart from, and come back and visit the site regularly.